What we today celebrate as Halloween used to be Samhain (pronounced sah-ween) in the Celtic traditions. 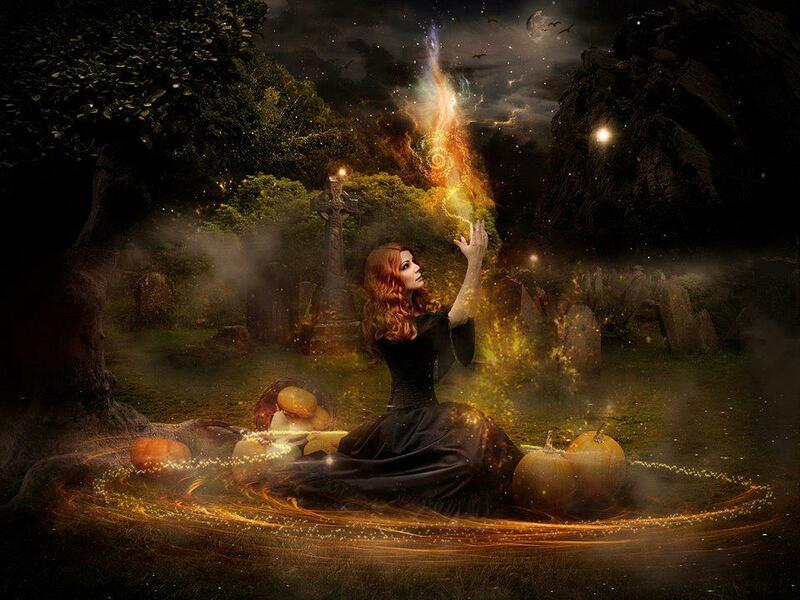 Samhain is one of the eight festivals of the year and is celebrated during the night from October 31 to November 1. It is the Celtic New Year. Samhain signifies the end of the harvest season. The harvest has been brought in, and we are moving into the darkest time of the year. It is the time to turn within, to meditate, rejuvenate and contemplate on the things you wish to nurture. During this time the veils between the world are very thin. We feel more connected to the Otherworld, the worlds of the ancestors and elementals. It is the time to honor the people who have walked before us. In many traditions one would set extra chairs around the table and invite the ancestors to feast with them. You can celebrate Samhain by creating a little altar. Pick a special place in your house and decorate it with candles and place items on it such as apples, pumpkins, grains and other things that signify the harvest season. Light the candles. Close your eyes and go into a quiet space. Connect to your ancestors, the ones who have walked the path before you. Ask for guidance, clarity, and wisdom. See what they have to tell you. When you are done, thank your ancestors before they leave. You may want to have a notebook next to you so you can write down any insights you may have received.